This is a iOS app that communicates with an ELM OBDII (OBD2) car interface device. 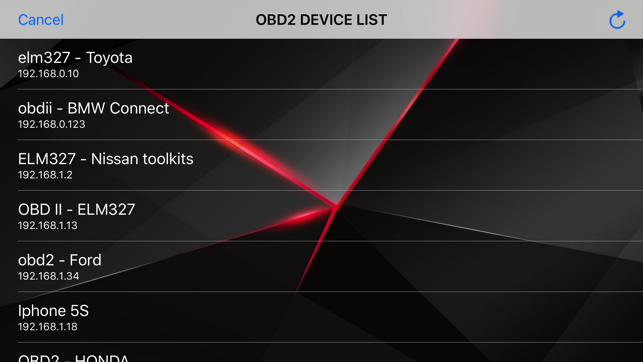 - Locate the OBD 2 port: get to know where the OBD 2 connection port is located. This is usually found somewhere below the drivers’ seat. 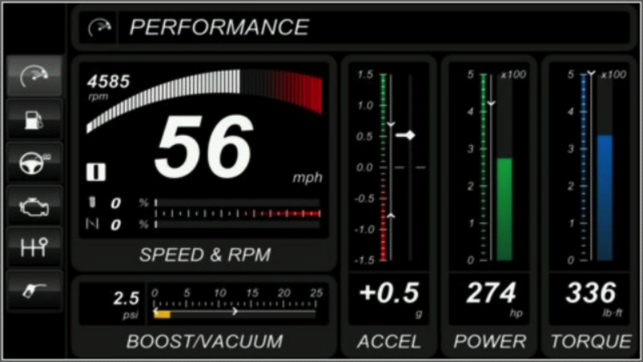 In some older car versions, the dashboard would be better if you checked. - Turn on the car engine: Although the OBDII port is providing power to the scanner, in some cases you will not be able to retrieve any engine data without the engine running. You have any questions or concerns? Feel free to contact us. Did not work with the OBD2 device I got. I could not find the device when clicking can when connected to nothing. I connected to the unit via WiFi and it never popped up as a selectable device under scan and the app froze. If I am on my home WiFi I click scan and it picks up devices connected to my personal network. I don’t know if the TACKlife unit works with this app. All the 5 star reviews are because it makes you give it a 5 star review before you can use the app. Then the app doesn’t work... so all these good reviews are from lazy people who didn’t go back in and update their review after it didn’t work. How do I get my money back for this garbage app? Seems like a scam to me. I agree with everyone who purchase this app. How in the world can I rate this product without trying it out. Totally unacceptable .